Continental Greece (Sterea Ellada), or Central Greece (Kentrikí Ellada), is divided into the region of Central Greece, Attica and one prefecture of West Greece. Attica used to be included in the region of Central Greece but it has recently been considered as separate independant region. The region has traditionally been known as Roumeli, a name deriving from the Turkish word Rumelia or Rumeli, meaning "the land of the Rum [the Romans, i.e. the Byzantine Greeks]". 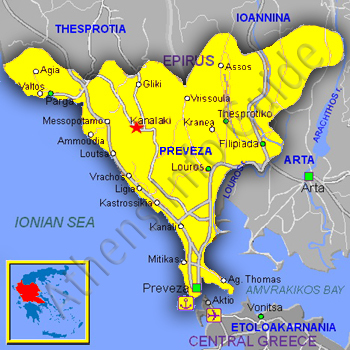 The official name Sterea Ellada ("Continental" or "Mainland" Greece), comes from the fact that, along with the Peloponnese peninsula, Central Greece was the first region to form the modern Greek state..